Are you looking for a little variety on your language shelves when teaching letters and sounds? Perhaps you have a hands-on learner or a child who needs help developing hand and finger muscle strength in order to progress with writing? Or maybe you have a child who's just becoming interested in letters, but is not ready for traditional Montessori materials yet? The Montessori-inspired Letters and Sounds Play Dough Mats are the perfect addition to any classroom at home or at school. These play dough mats use real photographs, not drawings or cartoon like images. Be sure to grab your set today! 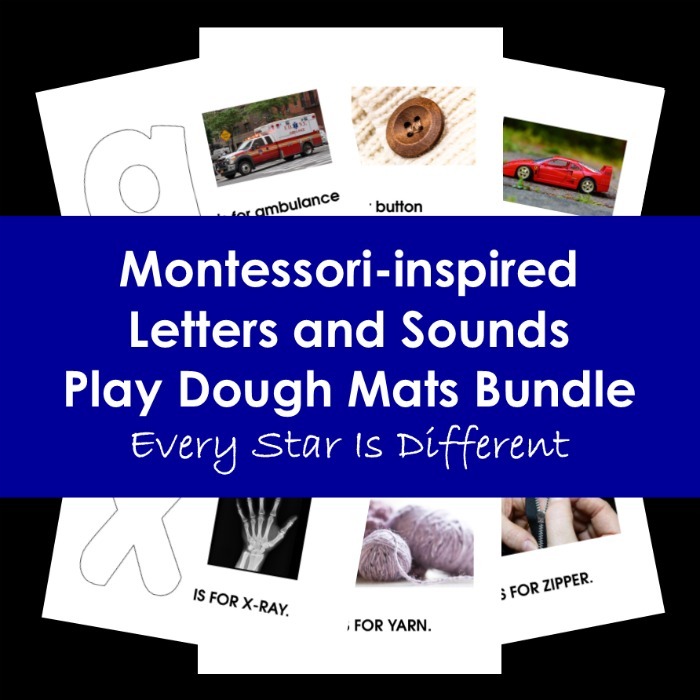 How do you purchase the Montessori-inspired Letters and Sounds Play Dough Mats Bundle?